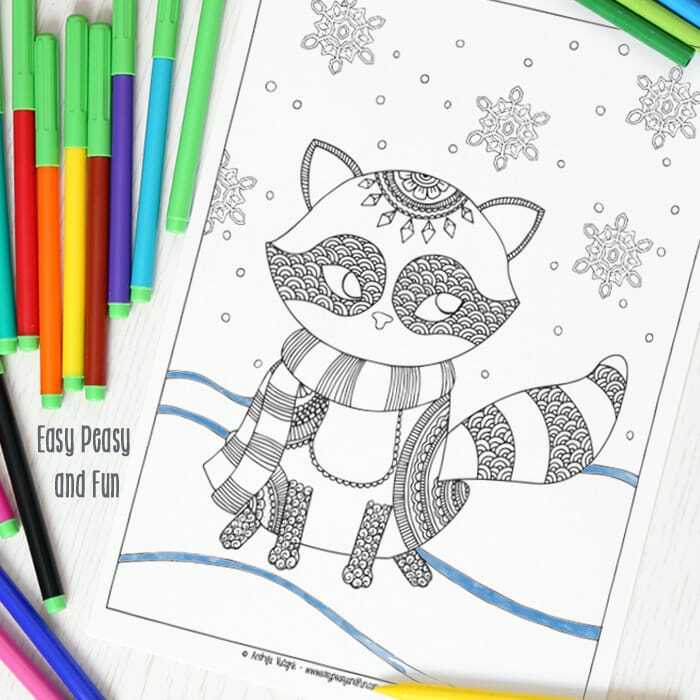 While we’re still waiting for serious snowflakes (we only had a few) it’s time to share some free printable winter coloring pages for adults, starting with this adorable raccoon one! 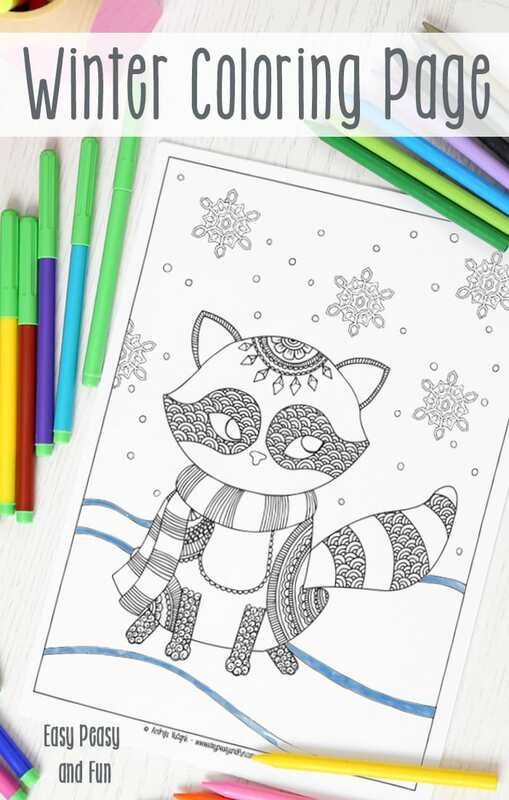 This little forest dweller first appeared in my Colorful Woodland coloring ebook and now he (or she) is getting a new look for the cold season. As usual I loved creating this one BUT there was a simple thing there that I kind of struggled with and had no idea it could be so challenging… Snowflakes! These little wonders of nature are pretty hard to come up with. 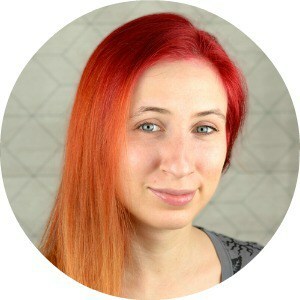 I mean you have a fancy design in your head but when you put it on paper it kind of looks, well bleh. 🙂 But I did manage it somehow in the end (and can now proudly say I can draw a snowflake, something I always thought I could haha). The raccoon on the other hand was a joy. The little fellow (or gal) has a warm scarf keeping him (or her) warm in the snow. 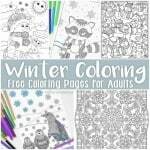 With all the intricate and zen details you can really bring some color to this winter coloring pages for adults and kids. 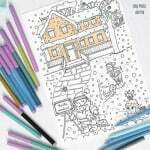 Got your markers ready? 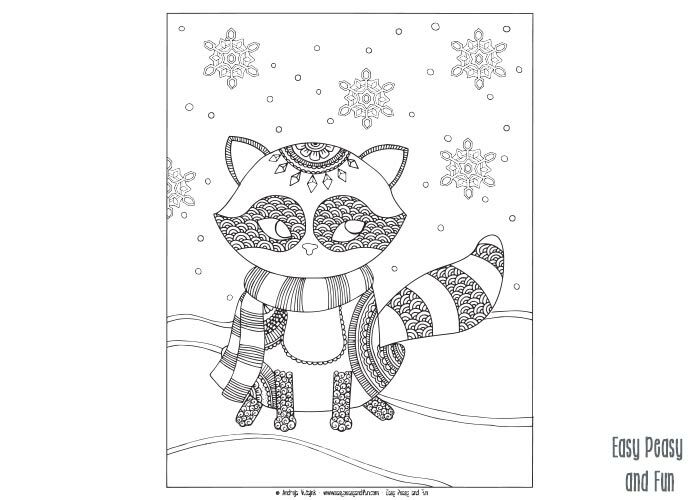 Just print and color this fun raccoon winter coloring page for adults! 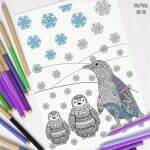 While you wait for a new winter coloring page on this blog why not give these forest animals coloring pages a try? 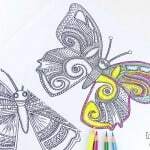 Or maybe color these mandala elephants coloring pages. 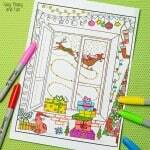 Snowflake Mandalas – need I say more?